Whether you’ve moved to Belgrade for a job or you’re just passing through on your Instagram-fueled travels, you might want to check out Dispatches Europe’s first city guide for English-speaking expats. This Central European capital has a split personality. Divided in two by the Sava River, the city is a mix of historical authenticity and modern convenience. 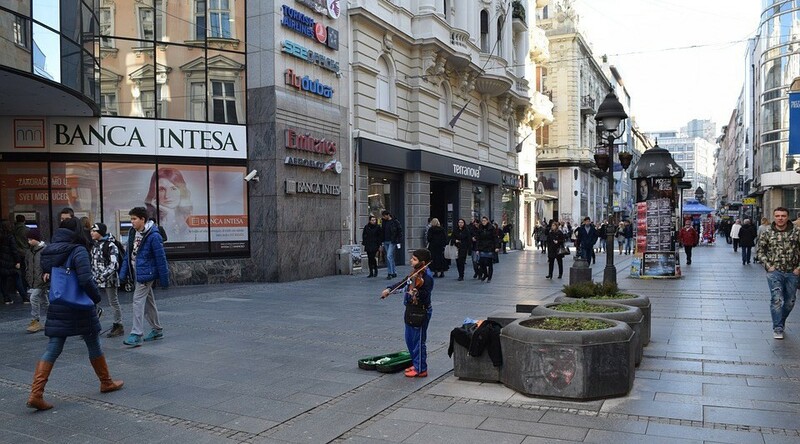 One of ten cities on Mercer’s most-improved Quality of Living ranking, Belgrade has a great transportation grid, shopping that’s equal to any other medium-sized European city, and a thriving entertainment scene. The official language, Serbian, is used in throughout the city in restaurants and shops, in government offices, and on public transportation. Something that may take English-speaking expats some time to get used to is that many signs are printed using the Cyrillic alphabet. You’ll soon find, though, that most residents, especially the younger generation, speak English fairly well and are willing to point you in the right direction. In addition, the staff at the Tourist Info Centres and most hotels are also multilingual. Laguna and Vulkan bookstores in Belgrade have a decent English language selection of fiction and non-fiction titles. A member of the Fellowship of European Churches, Belgrade International Church has Serbian and English language worship groups in members’ homes. ICF has Sunday services in English as well as ministry and service opportunities, prayer groups and Bible studies during the week. Part of the Church of England, St. Mary’s holds weekly services, prayer meetings, and Bible studies in English. The British International School Belgrade takes students from preschool through high school. PRIMA International School is an accredited Cambridge Assessment International Education Center that offers instruction for preschool, primary, and secondary students. The city’s emergency services have English-speaking operators available. Dial 92 for the police, 93 for the fire department, and 94 for an ambulance. The British English Language Youth Theatre (BelTheatre) runs theater workshops for children and teens. When you want to order takeout, you’ll find that neither Deliveroo nor Grubhub operate in Belgrade. The good news is that Donesi.com does. English language menus and instructions make the online ordering process simple. Short-term and long-term housing sites with English language listings can be found at Move to Belgrade, a website maintained by a group of independent Serbian organizations. If you find that you need to consult with a lawyer while in Belgrade, you can locate law offices with English-speaking staff on this list maintained by the British Consulate in Belgrade. The British Consulate in Belgrade maintains a current list of medical facilities with English-speaking staff. The U.S. Embassy in Serbia has a similar list of English-speaking doctors, dentists, and hospitals in Belgrade. The city’s tourist information centers have multilingual staff members and English language guidebooks and pamphlets. Urban Adventures offers a daily tour of Belgrade led by a local English-speaking guide. Viator has an updated list of English-speaking tour guides. Meetings are held in English throughout the week at several locations around the city.